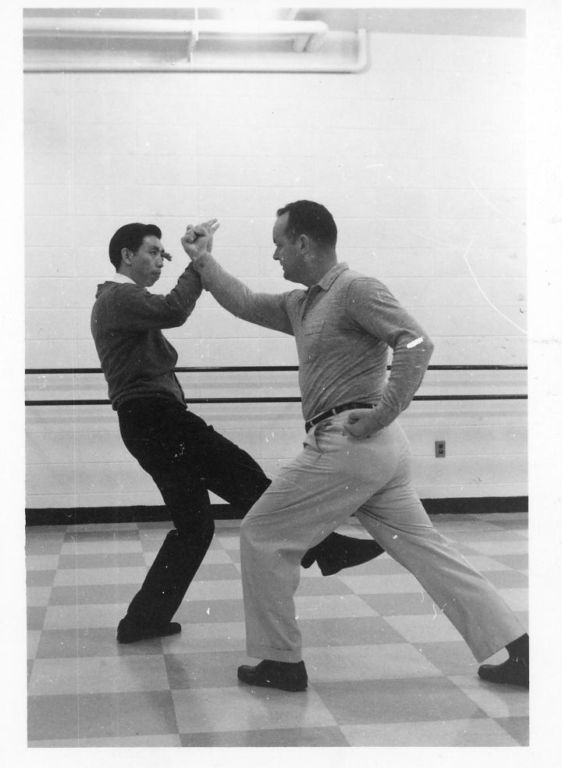 A MODEST TRIBUTE to a former US Marine and CIA operative, Robert W. Smith’s whose pioneering writings gave us access to the complex and thrilling world of Chinese martial arts from Monkey Boxing and White Crane to Pa-Kua Chang. BACK IN THE LATE 70’S AND EARLY 80S, my brother adopted the ethics and principles in Miyamoto Musashi’s Book Of Five Rings and then progressed to Bruce Lee’s Jeet Kun Do before ending up in Master Toddy’s gym in Manchester practicing Muay Thai. I, however, ended up opting for the more mysterious and relaxed practice of Yang Cheng Fu’s t’ai chi ch’uan. While I liked the idea of this “Supreme Ultimate” art of self defence, a hint of skepticism as to its effectiveness in a real fight combined with natural curiosity always ensured I was on the lookout for info beyond what my teacher was letting off. Books on Chinese martial arts were few and far between. You had to seek them out at shops like the Guanghwa Bookstore in China Town or Compendium in Camden Town. 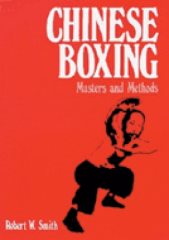 One of the first books I snapped up was the late Robert W. Smith’s now classic Chinese Boxing: Masters and Methods, large because it contained a chapter on the much celebrated acolyte of Yang Cheng Fu, the Master Of Five Excellences, Cheng Man Ch’ing. First published in 1974 this book was based on the books, photos, films, translations and notes that Smith amassed while researching and practicing martial arts in Taiwan during the early Sixties. As I was focused on t’ai chi chu’an, the nartial arts of other masters were designated interesting but a complete mystery. Thankfully, that’s not the case today. 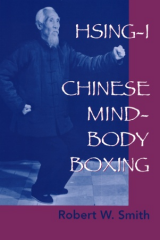 While the Cheng Man Chi’ng short form I learned has slipped into memory I now find myself referencing the other martial arts masters in this book like Wang Shu Jin, Chen Pan Ling and Hung I’hsiang. In fact, I have to thank Robert W. Smith for introducing me – and thousands of others – to the concept of Nei Jia – the so called internal schools of the Chinese martial arts which embrace the triumvirate of t’ai chi ch’uan, hsing I ch’uan and pakua ch’uan. Smith was skilled third degree Japanese Judo practitioner and his first book focused on this art. 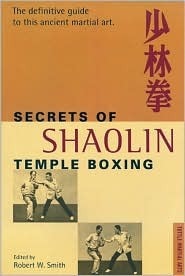 In 1969, he co-authored with Donn Draeger the definitive Asian Fighting Arts and, prior to the Shaw Brothers kung fu films he introduced the West to The Secrets of Shaolin Temple Boxing. Ironically, this ex-marine was also a CIA operative in Taiwan and according to one of my teachers, Marnix Wells, an academic, author and student of Wang Shu Jin, Robert Smith’s CIA status undoubtedly gave him access to some of the most accomplished martial artist in Taiwan who had fled the mainland with Chiang Kai-Shek. Smith’s books were published the Japanese publisher Charles E Tuttle. 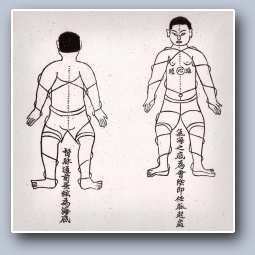 An initial book on the circle walking art of ‘Pakua – Chinese Boxing For Fitness & Self Defense’ appeared in 1967 and was succeeded by a similar size volume entitled ‘Hsing-I – Chinese Mind-Body Boxing’ in 1974. 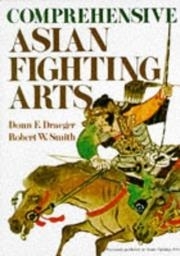 Smith joined forces in the late 8o’s with a young Allen Pittman to produce two more books that explore the fighting arts of Pa-kua and Hsing I. Smith’s books were undoubtedly ground breaking and are the perfect written complement to the Taiwan episodes of the classic TV documentary, ‘Way Of The Warrior’. His extensive writings include dozens of magazine articles, book reviews and even some poetry. Under the pen name of John F. Gilbey, he wrote “Secret Fighting Arts of the World,” a fictitious send-up of the many completely outrageous martial arts stories he had collected. Some gullible readers swallowed these over the top tales whole and even quoted Gilbey in subsequent publications. 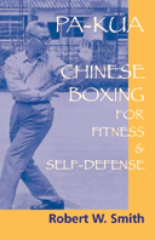 This entry was posted in Wushu and tagged Asian Fighting Arts, Blue Snake Books, Books, Chen Pan Ling, Cheng Man Chi' ng, Chinese Boxing, Don Draeger, fitness, H'singI I Ch'uan, Health, Judo, Kung Fu, Marnix Wells, martial arts, monkey Boxing, Pa-kua Chang, Plum Publication, qi gong, self defence, Shaw Brothers, T'ai chi ch'uan, Taiwan, Ted Mancuso, wang Shu Jin, wushu, yang Chen Fu. Bookmark the permalink.